Thx for your great work so far! 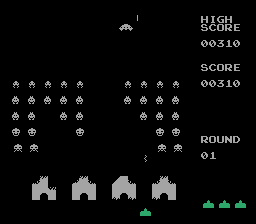 it’s amazing to see the Space Invaders running in MAME. 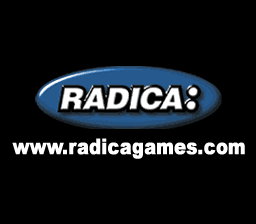 I hope we get more games from RADICA soon! Very interesting Haze Thanks for the write up. I read your comment about the snes mini and awful hardware and awful older version of mame. Yes mame in 2003 was not as good as now, but it run games already good, not with arcade preservation perfection, but it did it and also that was made the project move forward so long. I think is fair and is ok to dig in older mame versions, at expense of accuracy and quality, to have some fun on older hardware. 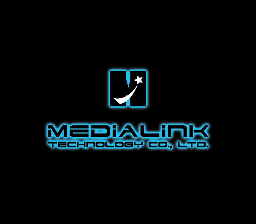 There are faster emulator out there that concentrate on a single platform and do a better job than an older mame, but is also true that there is not always the emulator you are searching for and mame has a wide range of options. For my YouTube channel just click through on any of the videos I post of emulation work in progress like the one in the article. Have you got any videos showing the actual things that you do in getting things working from start to finish ? As it would be nice to show us & talk us through what your doing & obviously you can’t do it all the time but as you have been doing pgm2 I would like that, including what stuff you did try but was wrong & then stuff that gave you the breakthroughs in getting it to work up to now. 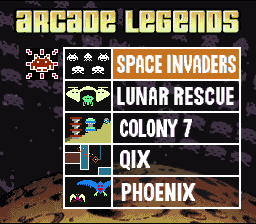 The videos I already made of the progress on these show more steps than the PGM2 stuff ever did. I can’t show everything I tried because that would be hundreds of videos and paragraphs of text that I simply don’t have time to write. Just found out about your Youtube channel. Thanks a lot for the write ups on this blog. It’s really cool to read through this. Quick question, most games in mame have around 4 ~ 6 frames of input lag which are not present in the real arcade. I’ve heard bgfx’s non-exclusive mode implementation adds about 1 on Windows. I know you guys are aiming for the perfect emulation when possible. Is this input lag on a list of being fixed soon, or would this be an issue until maybe it’s fixed at a distant future? > Quick question, most games in mame have around 4 ~ 6 frames of input lag which are not present in the real arcade. If you’re getting 4-6 frames of extra input lag you’re doing something *very* wrong, MAME out the box definitely doesn’t add that much, in fact most people have found it to be one of the lowest latency emulators, moreso if you use something like GroovyMame and the low latency audio drivers too. BGFX might add an extra frame, but it isn’t default, and that is out of MAME’s hands. Best case with emulation is ‘1 frame’ of extra lag from the emulator, because the game renders a frame in realtime, then the emulator presents it at the first opportunity it has. If you’re running at double the usual refresh rate you might cut that down to half a real frame as the next frame is presented more quickly. On real hardware, obviously depending on the design of the hardware, it’s theoretically possible that you would see a change on the screen immediately after you press a button, because for the older systems the buttons are directly wired to bits on ports, which could be read, and change the position of something a scanline ahead of where the CRT scan is, before it gets there. Modern PC hardware doesn’t really work like that at all, nor do modern displays, you render to a buffer and that buffer is then presented (after any post-processing effects are applied) so usually you’re going to get an extra frame or so there, some displays are better than others, some video cards / drivers are better than others, some cards have better drivers on one OS than another. I always found that any OGL / SDL solutions on either Linux or Windows were worse than the D3D mode with my hardware for example. Some input devices will also add lag, wireless ones I’ve found to be worse than wired, but again you’re often at the mercy of the drivers for said devices and even the hardware inside the devices that might, for example, be sampling button inputs over multiple frames to ensure the input is stable (especially with Analog style inputs) I’ve noticed a lot of adapters for console controllers and the like have this problem, as do some of the modern reproductions of older pads. but no, if somebody is going around telling you that MAME is adding 4-6 frames they’re talking nonsense or they’ve intentionally configured it in a way that does. It’s more likely they’re just using hardware that adds said lag, nothing to do with MAME. 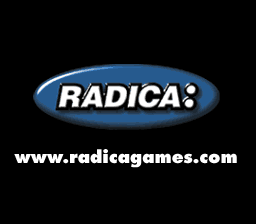 I notice people have been going around spamming that RA can do ‘0 frames of lag’ now, but in reality it’s doing nothing a properly configured MAME / GroovyMAME have done for years. 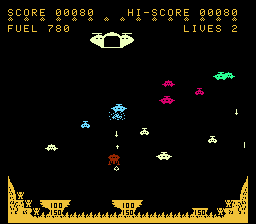 If anything I found RA to be noticeably more laggy out of the box than MAME, with worse sound delay too, with the problem on some low-powered & mobile devices to be so bad it was very off-putting. and MAME should be following the best principles without potentially causing compatibility issues. It’s interesting how this has become a major issue for people all of a sudden tho, because it’s one area in which manufacturers stopped caring fairly on. Even in the 80s / 90s Namco had started using MCU chains that passed inputs from one place to another, adding frames of lag to their games etc, and as I mentioned, 15 years ago people were asking for features in MAME that explicitly added lag, not only vsync / triple buffer, but ‘steady key’ and the like too. The newer JVS standard for arcades also apparently adds extra lag by having additional MCUs passing the inputs around, acting as an ‘intelligent’ layer between the game and the controller. It’s funny how times change really. Also re: videos of me doing MAME work, that wouldn’t work. 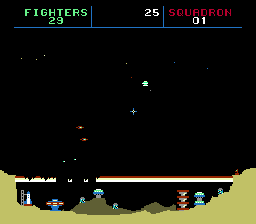 I’m rarely *only* doing MAME development work, so I’ll write a bit of code, do something else while I consider what worked / didn’t work, test another bit of code, do something else entirely etc. If I just sit there trying to force a solution to the problem I get nowhere, need time to actually just think things over. @Andrea Bogazzi: It’s personally embarrassing to the devs because we know all the things that were wrong in 2003 (the gameplay speed in Donkey Kong, to name one classic). And there’s a wide range of mini-ITX and small-form-factor PCs these days, which can also run Plex videos and PC/Steam games in addition to keeping you current on MAME. Yeah, it’s a bit like the guy on Reddit doing a review of Outfoxies, but doing it on a SNES Mini using MAME2003 where sound wasn’t even emulated. It’s a 15 year old version of MAME, there’s very little value to somebody trying to upload a journalistic review of a game using a MAME build that old. It makes the game look bad, it makes MAME look bad, it makes the SNES mini look bad, and it makes the reviewer look unprofessional at best. We fixed sound, or at least had somewhat working sound in the game around 2005, which is 13 years ago anyway so maybe you can understand the frustration when people start saying such devices are good for MAME and people start porting MAME to it similarly weak platforms. 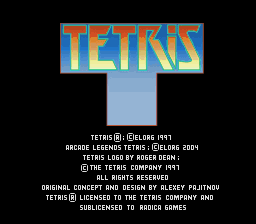 It’s another case where Retroarch / Libretro has done considerable damage by making it such options seem like they might in some way be good ones. Mame4all etc. were starting to die out before they resurrected them all and started another wave of people running terrible old MAME versions on terrible hardware as if it were a good thing. It would have been far better if use of those old versions had simply died out and people realized they needed better hardware for MAME. To add to the discussion, while I agree that MAME has a pretty good accurate emulation it does have 4-6 frames input latency. You can hop on any twitch arcade shmup streamers and ask around and they’ll all agree with this. It’s a widely known fact. That’s why some prefer re-releases of these games on modern consoles as they provide better response time. I don’t think OP is doing anything wrong. 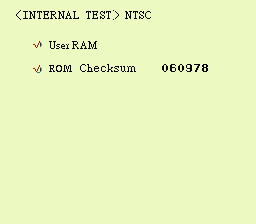 I use 8700k + gsync monitor with all bgfx, vysnc and buffer options off on default settings and I do get about 5-frame (for example in Battle Garregga) input lag. Feel free to test it yourself. BTW, MAME doesn’t add all of that 6 frame latency. bgfx adds 1-2 frames. bgfx’s fullscreen implementation has been half-assed on Windows because the developer has/had a dated information on DX and openGL differences on resource rebuilding. It has been suggested to use the exclusive mode before, but they have been ignoring it for nearly 2 years so 2 out of that 6-frame input latency is a lost cause. MAME dev even opened an issue about it once and it got zero response like 3 years ago. However, the rest 4-frame latency is definitely coming from MAME. You can test this by using a keyboard rawinput, and setting any on-screen display software to respond keypresses while running MAME. When the OSD responds to a key press, MAME would respond it after 4 frames. Battle Garregga is a poor example, because the actual GAME contains a lot of frames of input lag. 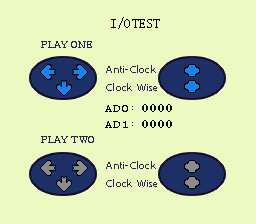 MAME isn’t creating 4-6 frames of input latency. MAME can’t do anything about that input latency. Please stop confusing the two or using poor examples to mislead people. You got atrocious hacks like shmupmame that hacked the Battle Garegga game code to remove the built in lag at the expense of completely breaking the graphic sync. This *proved* that the game itself was the source of most of the frames of lag, not the emulator. As long as you avoid BGFX, and don’t turn on silly options like Triple Buffer or Vsync then MAME is giving you as good as you can get, and as I said, BGFX isn’t even the default. MAME, in it’s default configuration, has 1 frame of lag, that can’t be avoided. Lag in the original games, and any of your other components will add to that, but that is not MAME adding it. There is no magic “ADD LAG HERE TO PISS OFF PLAYERS” code anywhere in MAME. Of course if you’ve got a port where the actual GAME code has been changed they can take out some of the lag that was originally programmed into the game, but that’s again something entirely different. The subject has been researched extensively. 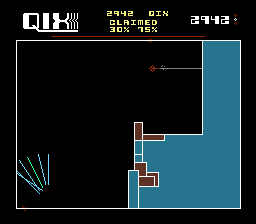 btw, some game designers intentionally added input delay to make the games harder, or to give the AI an advantage in knowing where you’ll be before you’re displayed in that position, cheap trick, but yes, it happened. yeah no way MAME adds that much lag. It was intended to become the new default with D3D going away, but issues like the one mentioned are the reason D3D is still there and the default. It might also be one of the reasons the devs haven’t dived headfirst into adding 3D rendering using BGFX just yet; if those issues never go away something else might need to be considered. is using hlsl ok on d3d? or does it add additional lag? I don’t think HLSL adds any lag, although it is a risk with any kind of post processing as it is an additional pass on the image before it gets presented. without a proper gsync / freesync setup yes, you’re relying on things like triple buffer to get rid of tearing (but add lag) refresh speed (which afaik forces the video to run at the wrong speed at the expense of sound skipping every now and again) or emulation speed (which adjusts the speed of the whole thing, changing sound pitch) the problem is your monitor can only display 60hz, the majority of old software does not run at 60hz, even NTSC stuff isn’t exactly 60hz. 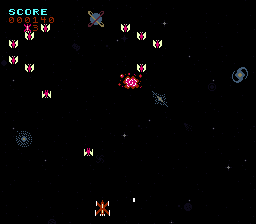 keep in mind that in some cases the actual games are a bit jerky anyway, so again MAME isn’t going to fix that. I completely agree people should not take in consideration snes mini and mame2003 core, nor libretro to talk about mame. But i can testify that having a snes mini with the cores it can run ( mame2003 and mame2010 i believe ) is a lot of fun. Even on a 2010 build there are so many flaws we’ve fixed since then that personally I can’t find it to be a ‘lot of fun’ at all. All I can think of is when the next game breaking bug or annoying glitch that we fixed 8 years ago is going to rear it’s head. I’m not saying newer versions are perfect, or don’t have bugs of their own, but overall it’s been 99% improvements and bugs fixed, maybe 1% bugs introduced. 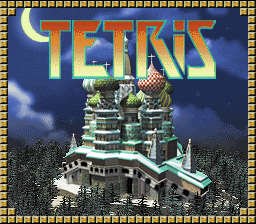 It’s not just the newer games either, the classics have received a lot of fixes in that time, especially protected ones where protection sims have been improved or replaced by real emulation of the MCUs. 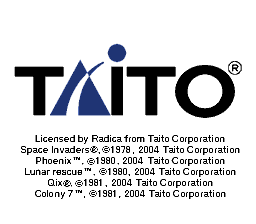 2017 was a huge year for Taito improvements in that area for example. There are even classics we know are still wrong today and are waiting on somebody to decap them etc. to improve matters, so it’s not like MAME is ‘done’ now either, anybody with an interest in Kangeroo is surely still keeping an eye out for any note of decapping and emulating the protection devices on there because the game simply doesn’t play correctly at the moment meaning any scores are completely incomparable to real hardware ones. Tracking MAME progress is actually rather important. yeah, but latest mame can’t run on a crappy arm. and if all you have connected to a tv with an arcade stick is a crappy arm cpu, a glitchy mame is still a gift compared to no mame. I was a cp2shock website reader because i find all the processes for dumping/debugging/understanding awesome and interesting. A side question, unreleated, what is keeping speed racer on mame to run good? emulation problem, protections or good dumps? 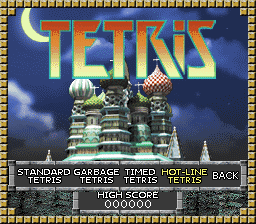 Honestly I’d rather people weren’t running MAME at all than running some crappy version for the sake of running it on crappy hardware, because it just encourages nobody to actually do it correctly. If people hadn’t got the choice to run it on a crappy ARM maybe they might invest in something better, which is what we were starting to see until somebody made it easy to run it on these crappy devices, a real shame. 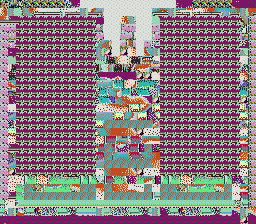 Speed Racer, I think simply nobody cares, or it’s some combination of CPU bugs (it’s an obscure CPU) and Namco weirdness because from what I can see the correct data doesn’t even get put into the tilemap ram. And ironically, latency-wise what you want is the most powerful pc you can afford, so you can use features like frame delay also with the most demanding systems. We have tested this stuff extensively and the only source of latency that really matters at a macroscopic level is the frame queue that video drivers surreptitiously create when any sort of vsync is enabled. All other suggested sources have negligible effects. If people who have “updated information” can create a patch for BGFX that eliminates the latency, we’ll accept it, and I imagine upstream will take it as well. It’s important to note that upstream uses BGFX primarily for PC games, where fewer people pay attention to latency, and so they’re less likely to fix things especially for us. Thanks for info on what options not to use.